Frank Beltran serves as lead counsel, co-counsel or legal expert in matters involving legal malpractice cases and fiduciary litigation. 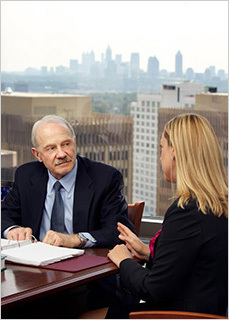 Frank provides third-party monitor/auditor services for multi-district litigation and class action settlements. 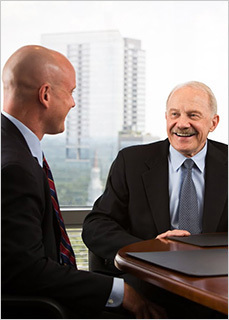 Legal malpractice cases, fiduciary litigation and legal expert engagements often involve underlying matters that may include estate litigation, probate, wills, trusts, contracts, medical malpractice, personal injury and wrongful death. Below is a sampling of cases in which Frank was Lead Counsel or Co-Counsel. In re Richbourg, 295 Ga. 356, 759 S.E.2d 865 (2014) (lead counsel) The Georgia Supreme Court ruled that indefinite suspension was adequate penalty for attorney’s misconduct and not disbarment. Life Care Centers of America v. Smith, 298 Ga. App. 739, 681 S.E.2d 182 (2009) (special counsel) The Georgia Court of Appeals affirmed the denial of Defendant’s Motion to Disqualify Plaintiff Counsel. City of Atlanta v. WH Smith Airport Services, Inc., 290 Ga. App. 206, 659 S.E.2d 426 (2008) (co-counsel) The Georgia Court of Appeals affirmed that the lessee of airport retail space was entitled to rent abatement due to security measure related to drop in business, and affirmed its seven-figure verdict. Both v. Frantz, 278 Ga. App. 556, 629 S.E.2d 427 (2006) (expert) The Georgia Court of Appeals upheld opinion that evidence existed that there were breaches of fiduciary duties arising both out of the attorney-client relationship and also out of the relationships as executor under the will and trust. Mays v. Askin, 262 Ga. App, 417, 585 S.E.2d 735 (2003) (expert) The Georgia Court of Appeals in a fraud and legal malpractice case reversed the trial court and upheld opinion that evidence existed to support the attorney-client and fiduciary relationship and further found that evidence existed as to defendant’s misrepresentations and on the issue of fraud. Crosby v. Kendall, 247 Ga. App. 843, 545 S.E.2d 385 (2001) (expert) The Georgia Court of Appeals upheld opinion that the defendant violated his fiduciary duty as an escrow agent. Dyer v. Souther, 272 Ga. 263, 528 S.E.2d 242 (2000) (lead counsel) The Georgia Supreme Court reversed the trial court in a will contest and held that the evidence was sufficient to submit the issue of undue influence to the jury. Kennestone Hospital, Inc. v. Hopson, 273 Ga. 145, 538 S.E.2d 742 (2000) (lead counsel) The Georgia Supreme Court upheld counterclaims for breach of fiduciary duty, among others. Tante v. Herring, 264 Ga. 694, 453 S.E.2d 686 (1994) (lead counsel) The Georgia Supreme Court upheld claims for breach of fiduciary duty. City of Atlanta v. WH Smith Airport Services, Inc.